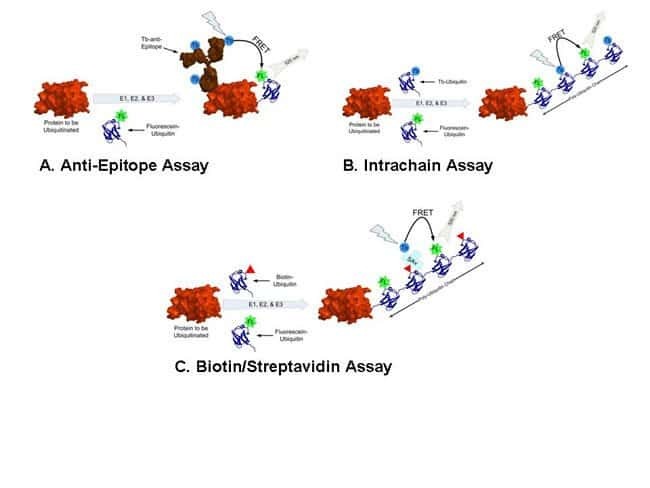 Fluorescein-labeled ubiquitin for use as a general research tool or in high throughput assays to monitor protein ubiquitination. Due to the method in labeling the ubiquitin protein, all of the lysines with the protein are available for further conjugation to form poly-ubiquitin chains. 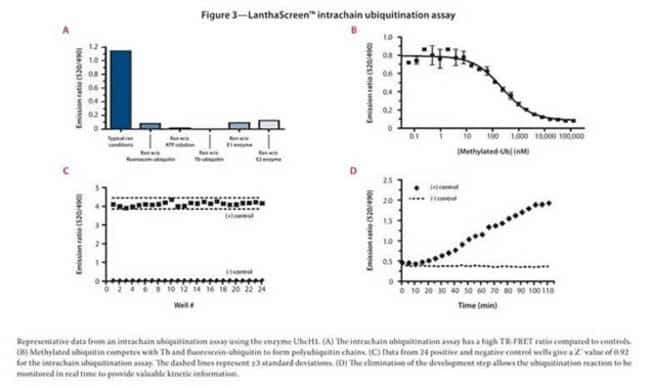 For use in combination with FRET donors including LanthaScreen® Tb-Ubiquitin (PV4375) or a LanthaScreen® antibody including Tb-anti-GST (PV4216) or Tb-anti-ubiquitin-FK2 (PV4751). Fluorescein-labeled ubiquitin in HEPES buffered saline. Store at -20°C.